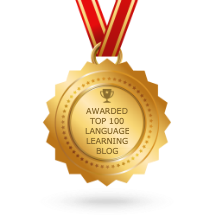 As you learn more about the Open Education movement in language learning, we hope you will share topics of interest to you. More than likely, they will be interesting and helpful to another teacher or student. Perhaps you found a great web resource of OER and would like to share a review of the site? Do you have a success story about how open education has changed your language classroom and helped your students? Have your learned a new language for free online? Let us know how you did it! Email a brief description of what you would like to share to us info@coerll.utexas.edu. For instance, a review of a new OER, an opinion about a news story related to open education in language learning, a video or audio clip. Please note that all blog content should be your original material or material that resides in the public domain. Tell us who you are. Name, title, affiliated institution/organization. Give us contact information to get back in touch with you. Our blog editor will respond to your topic submission and give you more details about how to submit your guest post. Note: All content on Open Up is published under a CC By license.